The 2019 Wildside Festival line-up has been released – diverse, local and perfect for a summer festival – it’s a good one! First up we have the tenacious Hot Soles, a duo intent on waking and shaking up the music scene with their own blend of rock and roll. 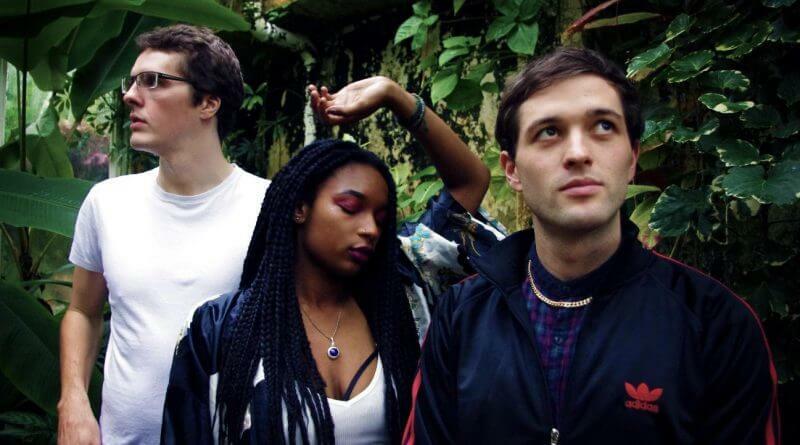 Hot on their soles is contemporary 3-piece Lycio, hailing from Birmingham. You’ll fall for this band’s electronic hybrid sounds and soothing human emotion, before jumping to the beat of festival favourites Left Hand Drive; you may remember this band’s eclectic blend of folk, funk, rock and blues from last year’s festival, and we’re so glad they’re returning. Strizzy Strauss is back too, introducing his very own hip-hop narrative to the Derbyshire countryside. VSDN was formed with the sole purpose of making people dance, which means they’re sure to fit right in when the members of this Birmingham music collective jump onto the stage to entertain our crowds. It’ll be impossible not to move with this line-up. It doesn’t end there, either. Our musical programme continues with China Bears, the anthemic indie band with a lot of heart. Even we will need to chill out during the excitement of the day, after all. 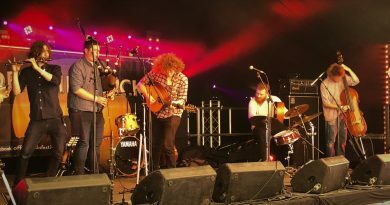 Oh Papa is sure to lull us all to our feet once more, before South Derbyshire outfit Boats on the Ocean strut their stuff with a blend of alt-rock and brand new vibes. We’ve got folk music too, in the shape of Jack’s Rake. This seven-piece formed after a hike in the Lake District and the rest, as they say, is history. Phew! Wildside Festival will provoke even the most reluctant to their feet as the day continues. Lefty Chris brings his musical hooks and rousing repertoire to the Holt, while the A52s will follow suit on the very same stage with fiddle, mandolin, guitars, sax, organs, piano and drums – their music has been inspired by some of our county’s beloved wildlife. Rounding up our line-up, which is subject to schedule on the day, is Sarah Hinds, a glorious folk singer from the Amber Valley. She’s as inspired by landscape and wildlife as we are, and we’re so thrilled she’s joining us to entertain you. That’s not all, of course. 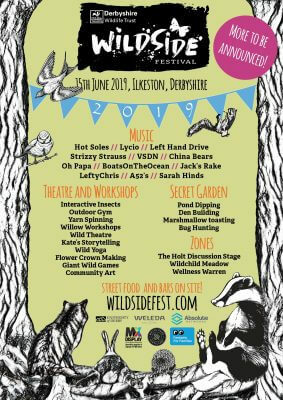 Wildside Festival celebrates local theatre and arts, as well as welcoming wild workshops and hands-on activities. This year we’re delighted to be able to host marshmallow toasting, bug hunting, den building and pond dipping in our Secret Garden once more, as well as hosting wild yoga, flower crown making, giant wild games, a community art project, outdoor gym, yarn spinning and Kate’s Storytelling in our meadow and surrounding landscape. Each member of the family will discover so much to see and do, with a really wild twist, of course. We’ve theatre antics from the Handmade Theatre following their runaway success last year, and plenty of space for fun and conversation in our Wellness Warren, Wildchild Meadow and Holt Discussion Stage. Oh, and don’t forget the street food and drink we’ll have on offer. There’s plenty more yet to be announced, too. 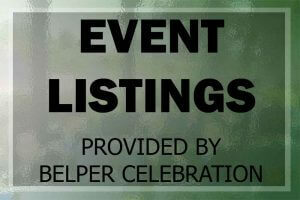 Plus, every ticket sold goes to helping local wildlife – that’s amazing! The festival is held at Woodside Farm in Shipley, Heanor, DE75 7JL on 15th June. 1pm – 10pm. If you’ve yet to buy your tickets visit wildsidefest.com. Come discover your wildside.